The Nazis were a vile collection of criminals, thugs, misfits, sadists, and petty bureaucrats bound together only by their philosophy of hate and their love of plunder. The stronger their stranglehold on power, the more monstrous their crimes. But when Hitler's 'thousand-year Reich' collapsed after twelve years of increasing repression, how were those responsible to be punished? Hitler, Himmler and Goebbels took their own lives to evade justice, but that still left the unrepentant Hermann Goering, Albert Speer, Hitler's one-time Deputy Führer Rudolf Hess and many other prominent Nazis to be brought before the Allied courts. 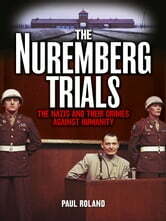 This is the story of the Nuremberg Trials - the most important criminal hearings ever held, which established the principle that individuals will always be held responsible for their actions under international law, and which brought closure to World War II, allowing the reconstruction of Europe to begin. 'Roland's compelling account is highly readable and finely, often shockingly, illustrated.' Nicholas Goodrick-Clarke, Professor of History, University of Exeter 'No one can deny Paul Roland is a complete master of his subject.' Colin Wilson, author of A Criminal History of Mankind"
I Can Live No Longer: The Story of an Indomitable Man, the only Volunteer to Auschwitz. This book is very well put together. Mr Roland makes you feel you are actually there. There was so little remorse from the defendants, they still believed they had done no wrong. Couldn't put it down. 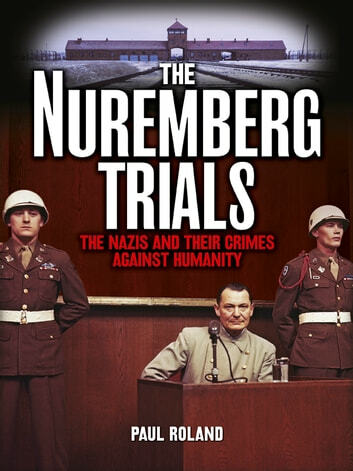 The insight of what happened in Nuremburg was excellent. Written in a form which easily explained why it all had to happen and what the outcomes were. Recommend it to anyone interested in WWII history. As a general overview of the proceedings it forms a framework for further study of the IMT of 1945 and 46. It's content is enough for the casual reader or an introduction to the subject. Concise and thorough examination of one of the darkest periods in human history. Very readable and poignant.